William Reilly returned to his hometown of Rockford after law school and established a successful practice providing prompt, high-quality, cost-efficient legal services for the community as a partner in a large firm. In 2006 he established Reilly Law Offices to emphasize quality legal representation with personalized service. His practice focuses on general business guidance (including formation, governance and operation issues), contract drafting and review, real estate transactions, estate planning, and creditors' rights. He has extensive experience counseling credit unions. Bill was one of the first arbitrators trained for the Illinois Supreme Court Mandatory Court-Annexed Arbitration Project, and served as a trainer for later arbitrators appointed by the Court. Bill has been active in the legal community as a member of the American Bar Association, Illinois State Bar Association, Illinois Creditors Bar Association, and Winnebago County Bar Association. He has served as chairman and active member of several law-related committees, and is the past president of the Winnebago County Bar Foundation. 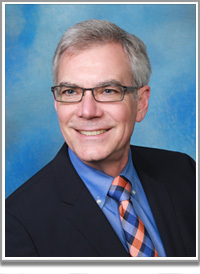 Bill presently serves as chariman of the Commercial Law Section of the Winnebago County Bar Association. Bill, an outdoor enthusiast, has led numerous high-adventure Boy Scout trips to wilderness areas, including the Rocky Mountains and the Boundary Waters Canoe Area. He enjoys sailing and has captained a sailboat in the Great Lakes, Caribbean and Mediterranean. He is an active volunteer for the Boy Scouts of America, and is past president of Blackhawk Area Council, which encompasses Northern Illinois and Southern Wisconsin. He is currently serving as the President of United for Youth, a not-for-profit organization established for the unique effort of building a Youth Leadership Development Center in Northern Illinois to host the local headquarters for both the Boy Scouts and the Girl Scouts. He also serves as a trustee of the Community Foundation of Northern Illinois and is chairman of the Governance Committee and the Art and Humanities Committee. Bill has been married more than thirty years to his wife Peg, and together they have three children, Jenny, Bill and Michael. They enjoy traveling together and photography. ©2019 Reilly Law Offices. All rights reserved. Website Design and Development by PS Designs & More, Inc.